As fitness continues to become more individualized, scientific topics such as metabolism will continue to become more mainstream. Having a better understanding as to how your body functions is essential to optimizing your health, but it’s important to get this information from credible sources. 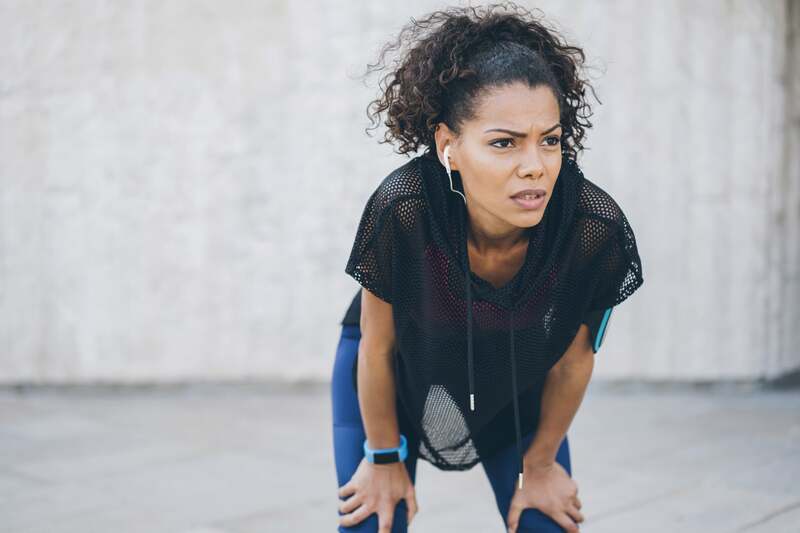 To learn more about metabolism and indicators of a slow metabolism, POPSUGAR spoke with Avigdor Arad, PhD, RDN, CDE, director of the Mount Sinai Physiolab. There’s a lot of correct and incorrect information floating around as it pertains to metabolism. According to Dr. Arad, metabolism is a complex process that relates to your body’s ability to produce energy from fat, sugar, protein, and how it stores energy. Usually, when people talk about their metabolism, they mean their metabolic rate which is the number of calories their body burns in a period of time, Dr. Arad said. The amount of calories your body burns in a period of time, aka your metabolic rate, is often categorized as fast or slow. Fast meaning your body efficiently processes energy, and slow meaning there’s something preventing your metabolism from working as efficiently as possible. If someone has a slow metabolism, they may experience symptoms such as “weight gain, they would be very fatigued, [have] low energy, and they’re going to have difficulties to complete simple tasks,” Dr. Arad explained. “You may see some physical signs like dry skin, brittle nails, or their hair is falling out a little bit. They may suffer from migraines and there may be cravings for sugar because they think that’s going to help them stay awake,” he said. Symptoms such as low energy and brittle nails occur because your body isn’t processing energy correctly. “It could be just not able to digest, break down, and absorb certain nutrients that are vital,” Dr. Arad said. People tend to jump to the conclusion that they have a slow metabolism, but Dr. Arad said, “a slow metabolism is actually rare,” and “in most cases it’s related more to a lack of sleep, poor diet, or a lack of physical activity.” Other factors that contribute to a slow metabolism are medical reasons such as imbalanced hormones and thyroid disease, he explained. If you suspect you have a slow metabolism, you should consult an endocrinologist and should consider getting a resting metabolic rate test (RMR) done. Everyone has a different metabolic rate based on variables such as genetics, physical activity, and age. To determine your metabolic rate, you’ll need to get a resting metabolic rate test (RMR) that costs approximately $250. Unfortunately, you can’t get these tests on Amazon or at your gym. Instead, you’ll need to go to a specialized clinic such as Fitnescity. From this test, you’ll learn whether your metabolic rate is on the faster or slower end of the spectrum. If your results indicate that you have a slow metabolism, there are ways to biohack and boost your metabolism. To boost your metabolism, Dr. Arad recommends eating less sugar, consuming more protein and healthy fats, and strength training. Here are more expert-approved tips you can begin implementing today to boost your metabolism. If you’re looking for strength workouts to follow, here’s a four-week program for beginners.